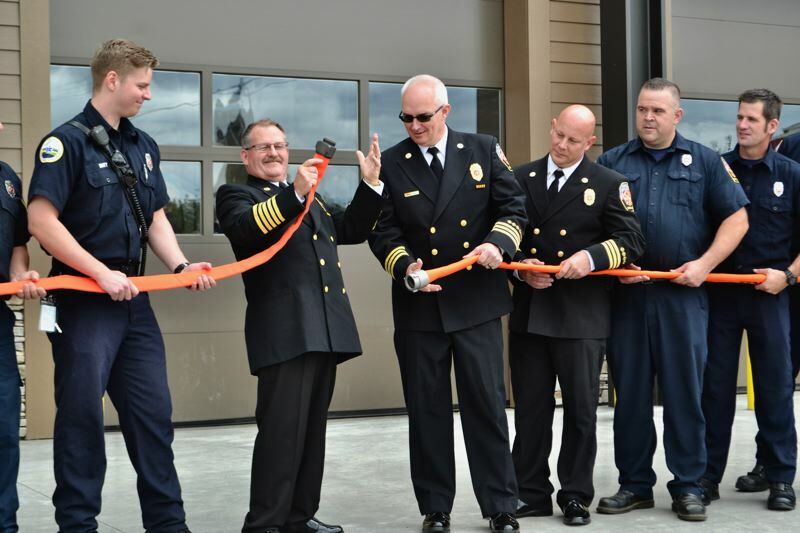 After four years in the making, the new Sandy Fire Station is open. On Saturday, June 23, the firefighters rolled out a red hose for a nontraditional, yet fitting "ribbon cutting" ceremony for the facility at 17460 Bruns Ave.
Dignitaries from the state Legislature and Sandy city government, members of the Sandy Chamber of Commerce and the Sandy Fire District Board of Directors made appearances. "I am happy to see all the firefighters and staff back where they belong, in their new station," Chamber Director Khrys Jones said. "Chief Schneider did a fabulous job working with the community to make this happen. It's also reassuring to know the station is seismic now and could withstand a disaster." Chief Phil Schneider started the afternoon off thanking his colleagues and the community, and presenting the late fire district board chairman Len Tobias' family with a bronze hydrant award to recognize his 25 years of service with the district. 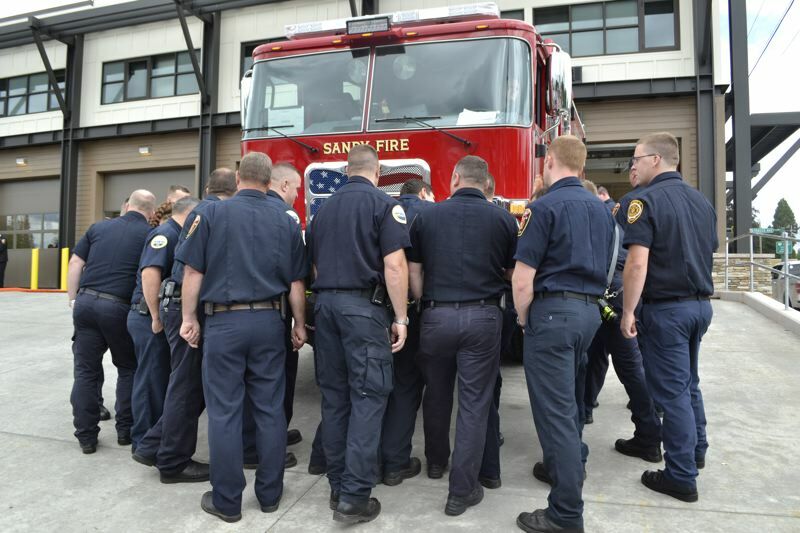 "We want to thank you all for your support and continuing support always in our service," Schneider said. "Here we are today and we're happy to say this is our 18,000 square-foot seismically engineered building, and it should be built for 50 years." Schneider added that the building cost around $6 million, but that "the good thing is there's no future money going out for this. We didn't have to go out and borrow or bond for ourselves." The department partially funded the project with a $1.2 million grant from Business Oregon, and the rest came from the city's urban renewal fund. City Manager Kim Yamashita spoke about the partnership between the city and the fire district and their urban renewal fund agreement. "Urban renewal starts with a district, and what happens is, as we put money into that district for improvements, it naturally increases the tax revenue that the district can generate," Yamashita explained. "Then we take that money that we've gotten from that generation and keep putting it right back into the district. So, that's what we're doing here. And I can't think of a better use of our urban renewal money than something like this. And this group really deserves it." 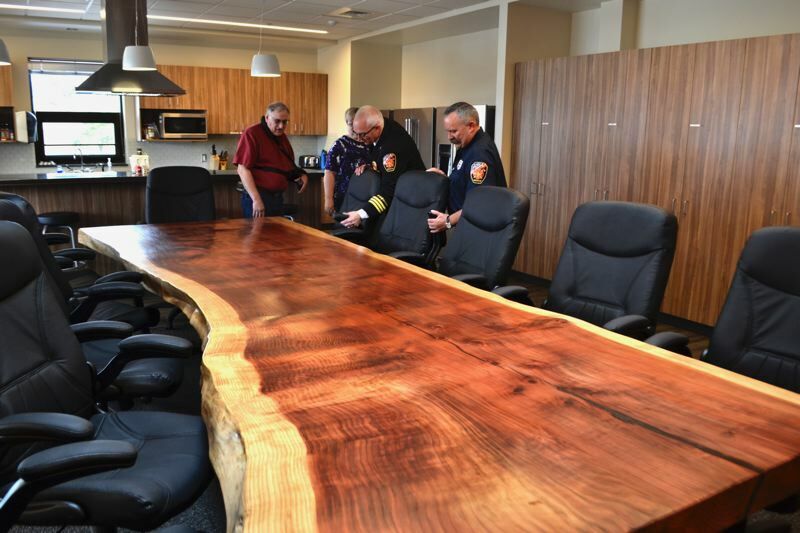 Several community members came out to tour the new facility, enjoy some grand reopening cake and check out the new dormitories, community spaces, apparatus bay and state-of-the-art kitchen, including a very special addition — a table created from the Sequoia tree that stood in front of the old station. Rep. Jeff Helfrich made the rounds, enjoying some cake, talking with constituents and getting his photo taken with Sparky and volunteer firefighter Kelsi Bennett. As a longtime public servant, she expressed great pride in the project. "As the state representative for this area, it's an honor to serve the Sandy community and (be) involved in the celebration of such a historical moment," he said. "This project was the result of dedication and hard work by this community and its leaders. It was amazing to see people from across the community come out to support and show appreciation for having the new fire station, the fire department's leadership, career and volunteer firefighters. This new station is not just a place where vehicles are kept, it's a place that will help protect and keep this community safe." Ron Lesowski, Tollgate Inn Restaurant and Bakery owner and newest member of the Sandy Fire District Board, was among those to attend. Lesowski threw his hat in the ring to serve on the board out of a calling to give back after the passing of Len Tobias left a vacancy. "It's beautiful," Lesowski said. "It's a huge asset for the city. The city should be and probably is proud of this as a focal point for the community." 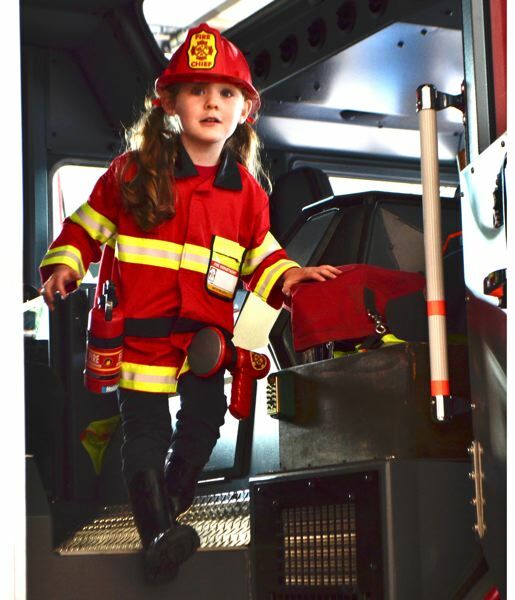 Many of the tiny tots in attendance marveled at the fire engines left out for perusal at the open house, climbing in and pretending to be firefighters. Sandy resident Billie Tigili's grandchildren were among the enthusiastic youngsters. "I think (the new station) is awesome," Tigili told The Post. "The kids love it." 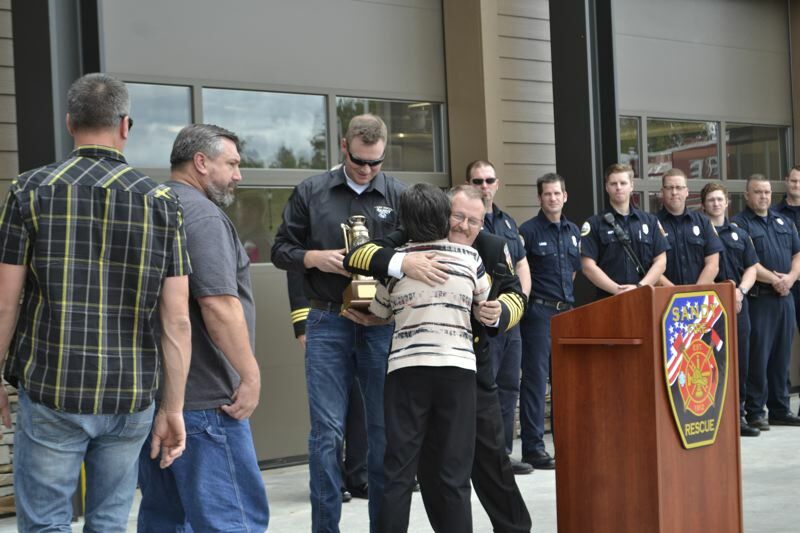 "It was my honor to attend the the grand reopening of the the Sandy Fire Deptartment," Sen. Chuck Thomsen told The Post following the event. "As a 35-year volunteer firefighter, I know they could not have done this without the full support of the community of Sandy. What an incredible facility that will help the Fire Department protect their families for many years to come."